FORWARD OPERATING BASE ZEEBRUGGE, Afghanistan — After three nights visiting Marines at Observation Post Shrine, photographer James Lee and I have returned to this base overlooking the scenic Kajaki Dam. How scenic, you ask? Four nights ago, we took Polaris Ranger all-terrain vehicles with two Marines to the summit of Zeebrugge. Observation Post Athens is on top, providing Marines with a breathtaking view of the surrounding area — and a good chance of seeing any insurgent activity from on high. 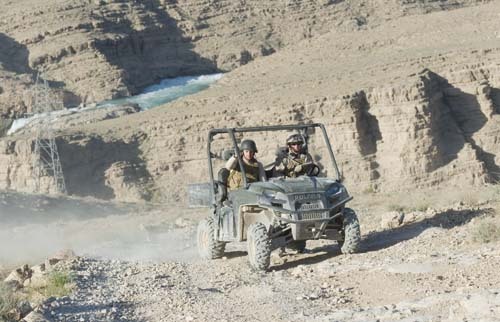 I hopped in an ATV with Staff Sgt. Gregory Sanders, a platoon sergeant with Golf Battery, 2nd Battalion, 11th Marines, which has manned Zeebrugge since the fall. We climbed a steep, rocky path from the base to the top of the mountain. Humvees can make it to the top some days, but not always, he said. Along the way, he pointed out sets of stacked rocks off the dirt path. They’re a common symbol for landmines, something the Russians laid in the 1980s while occupying the Kajaki area. A number of dilapidated Russian anti-aircraft guns also dotted the mountain, and an abandoned Russian tank could be seen on an adjacent hill through binoculars. “Once you look around, you say, ‘Wow, this has a lot of history to it,'” Sanders said. Marines patrol the top ridgeline at Zeebrugge to make sure it stays clear of insurgents, but they must do so carefully. 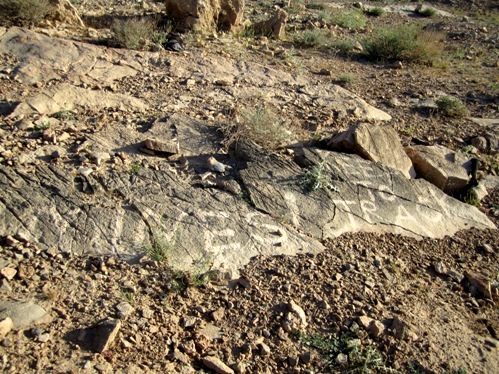 The photograph below shows a rock near OP Athens labeled “MINES! KEEP TO TRACK.” British forces occupied Zeebrugge after 9/11 until 2010, when Marines forces took it over. It’s likely they cleared a path and labeled it, Sanders said. 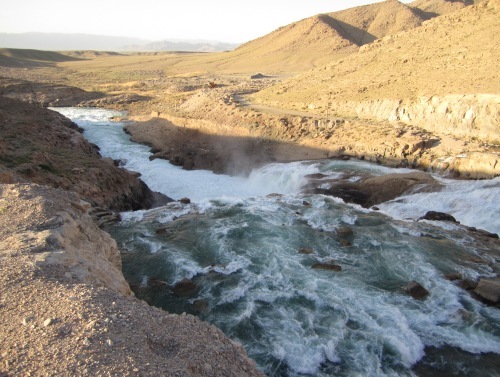 As for the dam itself, it was built by the U.S. in 1953 as part of an effort to assist the Afghan people. Teachers, engineers and other Americans worked in the area through 1979 when Russia invaded Afghanistan. The hydroelectric plant was built in 1975, providing power to much of Kandahar and Helmand provinces. The dam’s spillway is impressive. With Afghanistan’s winter snow now melted, water rushes through it at a powerful pace, churning a steady white froth. It’s a scene that would look at home in Arizona or Colorado.